I really had to show you this chain I bought today. I am lucky enough to work really near Hatton Garden, the jewellery district of London. It's a great place to wander around and get inspiration (and see the rather large price tags of some rather large jewels!). 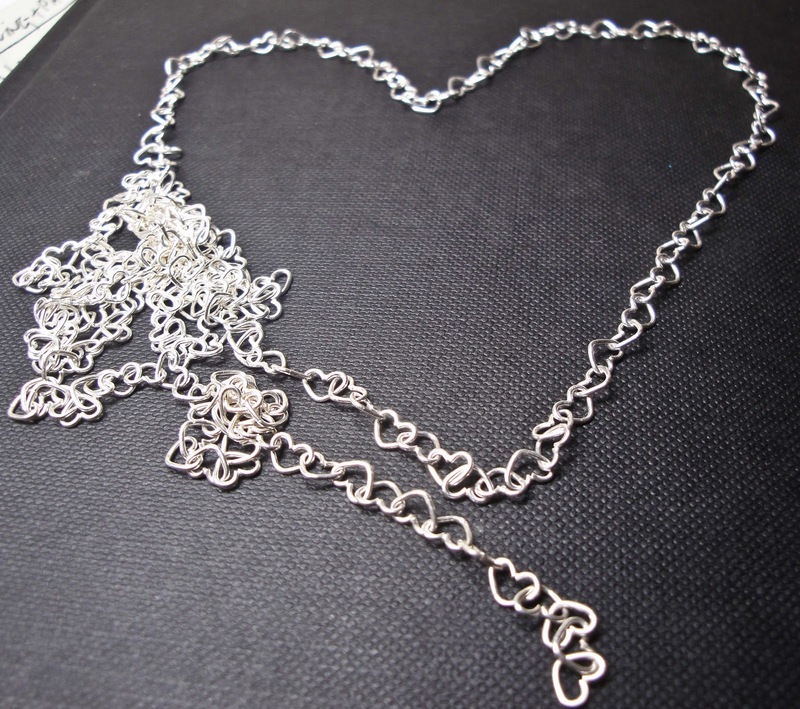 I made some heart pendants last night and thought this chain would be perfect. I'll post the complete pendant soon! That is so pretty! Did you use it yet ? I used it this weekend on these pieces. I still have a little bit left which I plan to use for earrings. 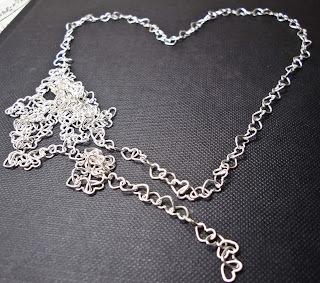 I'm going to get some more this week - it's really lovely chain.